Goods and service tax GST has brought in “One nation one tax “to unite indirect taxes under one umbrella and facilitate Indian businesses to be globally competitive. The Indian GST is structured for efficient tax collection, reduction in corruption, easy inter-state movement of goods etc. To prevent tax evasion and corruption, the GST Law lists the offences and penalties. There are 21 offences under GST, apart from the penalty for availing compounding by a taxable person who is not eligible for it. When has anyone committed an offence under GST? Even if he collects any GST in contravention of provisions, he still has to deposit it to the government within 3 months. Failure to do so will be an offence under GST. He does not collect TCS or collects less amount where applicable. For any offence committed by a company, both the officer in charge (such as director, manager, secretarty) as well as the company will be held liable. An offender not paying tax or making short-payments has to pay a penalty of 10% of the tax amount due subject to a minimum of Rs.10,000. Therefore, the penalty will be high at 100% of the tax amount when the offender has evaded i.e., where there is a deliberate fraud. For other genuine errors, the penalty is 10% of tax. Any offense under GST for which penalty is not specifically mentioned will be liable to a penalty extending Rs. 25,000. These rules of penalty are generally the same in all laws whether tax laws or contract or any other law. Every taxable person, on whom the penalty is imposed, will be served with a show cause notice first and will have a reasonable opportunity of being heard. 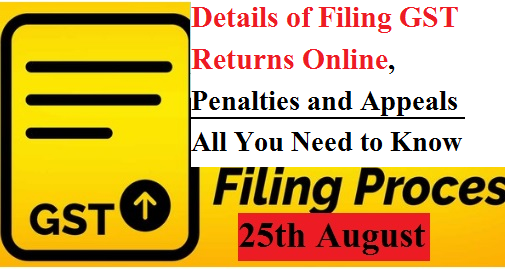 There will not be substantial penalties for minor breaches (tax amount is less than Rs.5000) or errors which are easily rectifiable and clearly made without any motive of fraud. The tax authority may issue a warning in such cases. This will be beneficial to businesses, especially SMEs, who may make genuine mistakes especially in the first few months of GST implementation. Being penalized for genuine errors will be a hard blow to the SMEs who do not have as many resources as the larger organizations to adapt to GST. Persons supplying/receiving goods in contravention of GST law will have such goods confiscated.